I started this month with only two drop spindles: a Bosworth Midi 1.5 ounce spindle, and a super-lightweight, half-ounce Golding 2″ ring spindle. Both were left over from my last jaunt into handspinning, over a decade ago. But then someone advised me that the Bosworth spindle was too heavy for what I was spinning. So I bought a one-ounce KCL (Ken Ledbetter) modular spindle. It’s a nifty idea: the top of the shaft and the bottom of the shaft screw into the whorl, allowing you to swap out shafts and also easily convert the spindle from a low-whorl into a top whorl and vice versa. After a few days, though, I decided I didn’t like the KCL spindle; it’s not rim-weighted, so didn’t keep spinning as long as I wanted it to. So I started ordering spindles…and things got a bit out of control. 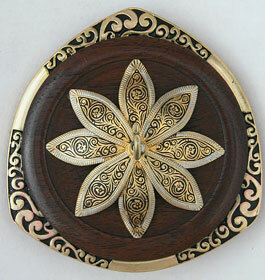 It turned out to be too light as well, so I ordered two more Golding spindles, 1.3 and 1.5 ounces. They should arrive next week. 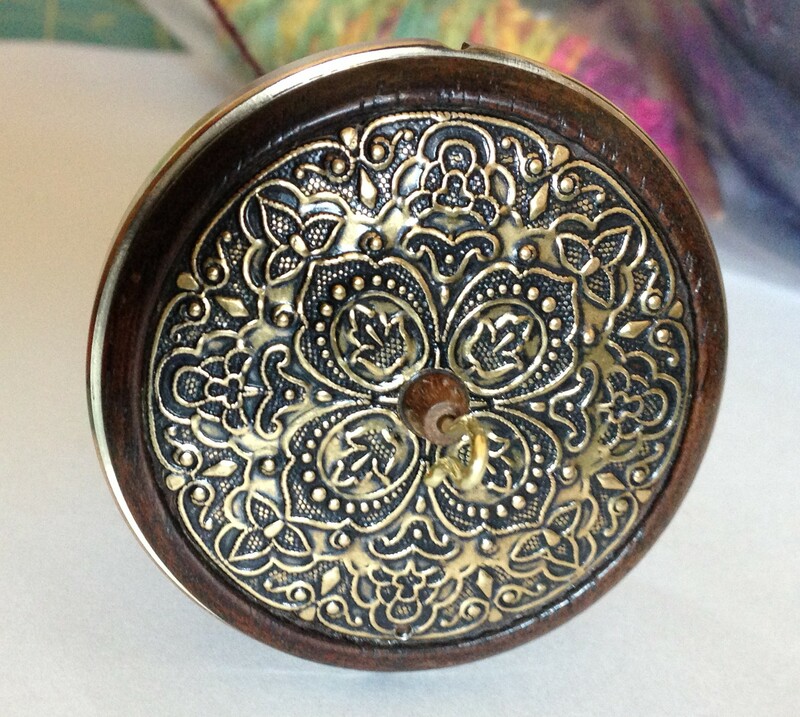 Normally I’m not a fan of too-exquisite-to-use spindles (I call them “spindle jewelry”), but this one was calling my name, I swear! So I bought it; it should arrive around the end of next week. I also ordered some Akerworks spindles – mostly because I love the idea of 3D-printed, interchangeable whorls mounted on a carbon fiber shaft. Modern technology meets ancient craft! They won’t arrive until late June, though. A value scale – in fleece! 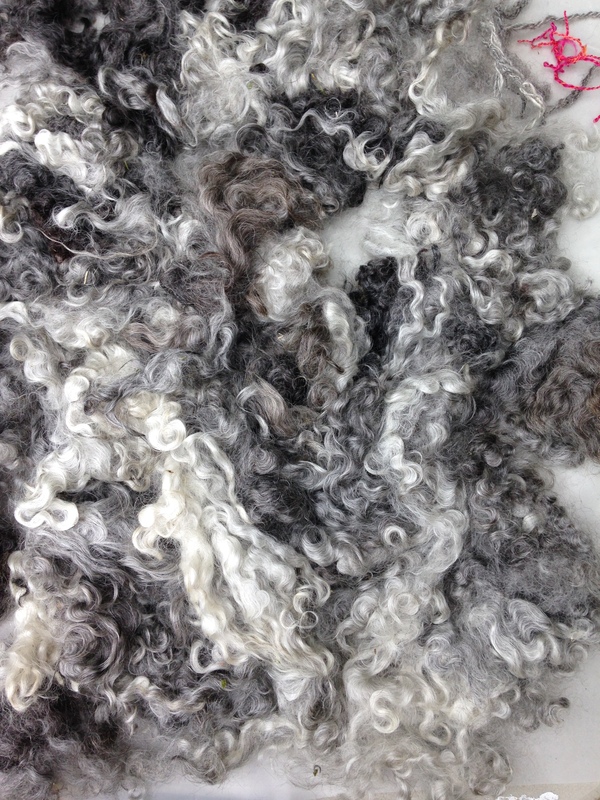 I’m particularly amused by my woolly “value scale” – eight steps from white to black rather than the traditional ten, but as I don’t have a really pure white or a really pure black, perhaps that’s appropriate. That will go into a pair of socks. I am, however, not knitting the socks myself; instead, I’m trading with a fellow Caltech graduate, who loves knitting more than I do. I’m going to spin enough yarn for two pairs of socks – one for her and one for me – and she’ll do the knitting. After that? I bought a pair of wool combs and am going to comb and spin the fleece. And then I’m going to weave a blanket. If it’s too warm for California, I’m sure I can find it another home with friends or relatives. 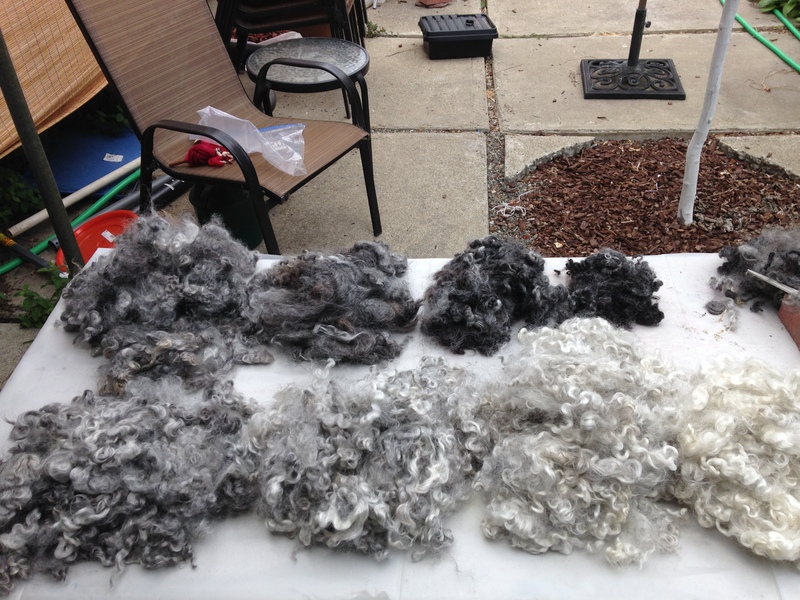 Of course, since I started with a six-pound fleece and my objective is to walk (and spin) about four hours a week, and I seem to be spinning at 0.3-0.5 ounces per hour, this is going to take awhile. 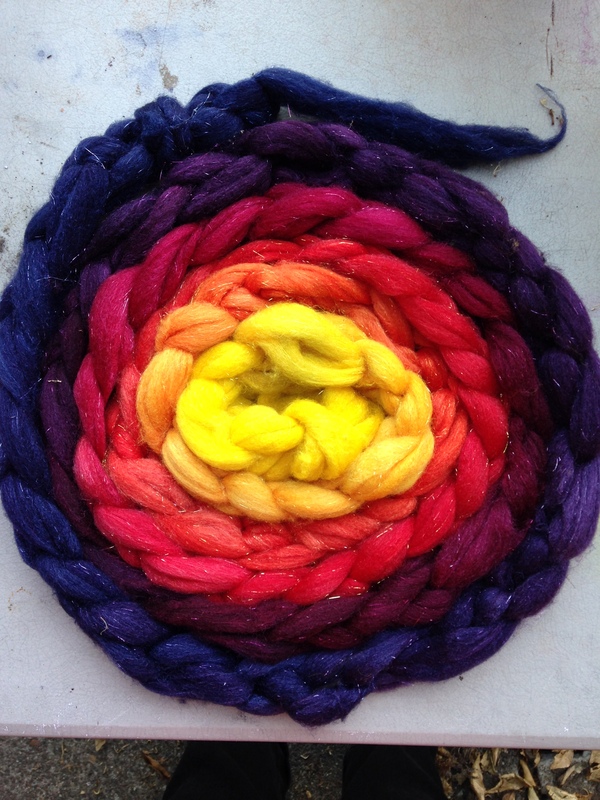 If you assume four pounds of usable fiber, that’s 64 ounces or about 128 hours of spinning (being optimistic). At four hours a week, that will take 32 weeks – figure 40 weeks, including plying. So I probably won’t be ready to weave the blanket until next summer. But that’s okay; I’m in no hurry. The objective for this piece is not to create great art or even a practical item: it’s to motivate me to get some exercise. So if it takes forever, so much the better! But that will all have to wait for me to finish spinning the sock yarn. Two pairs’ worth should take me through August, at the rate I’m spinning. I guess I’ll just have to exercise more! Fritz, being a supportive cat, has naturally been encouraging me to exercise. Mostly by making it impossible to get anything else done. 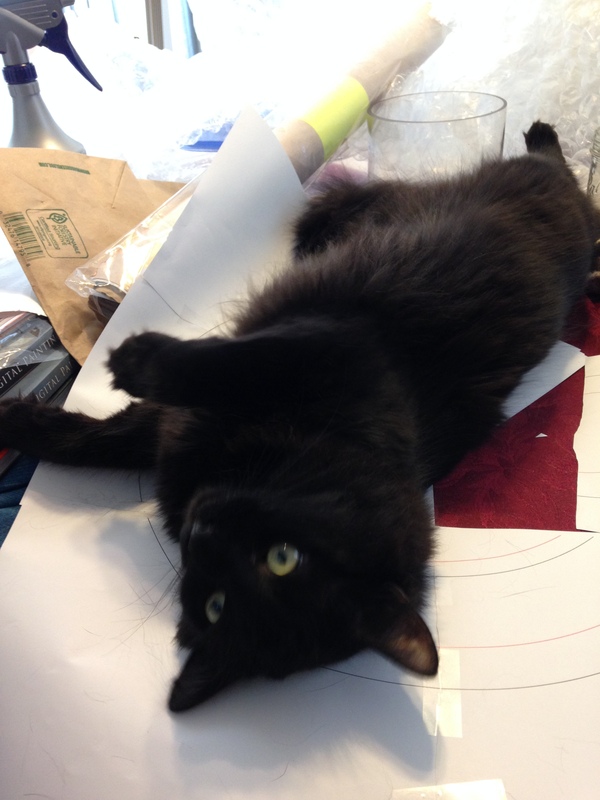 Here he is, rolling around on my worktable and suggesting I go for a walk. After giving him a belly rub, of course. You can buy a bracelet to hold your yarn! Kudos on the walking and spinning! I wrote a blog post about doing that on Spinning Daily. Keeping the feet and hands busy frees the mind think. I keep my fibers in a small bag (I wear the strap cross-body so it doesn’t fall off my shoulder). I can just reach in for another handful when I need it.